This book is a study of the long-term historical geography of Asia Minor, from the fourth century BC to the thirteenth century AD. 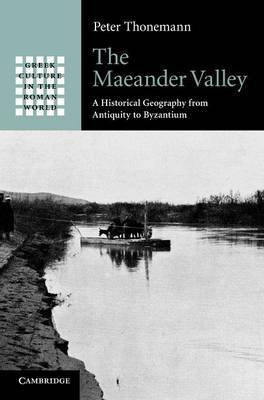 Using an astonishing breadth of sources, ranging from Byzantine monastic archives to Latin poetic texts, ancient land records to hagiographic biographies, Peter Thonemann reveals the complex and fascinating interplay between the natural environment and human activities in the Maeander valley. Both a large-scale regional history and a profound meditation on the role played by geography in human history, this book is an essential contribution to the history of the Eastern Mediterranean in Graeco-Roman antiquity and the Byzantine Middle Ages.